Teen Book Talk features book, movie, and local event reviews written by local teen writers. 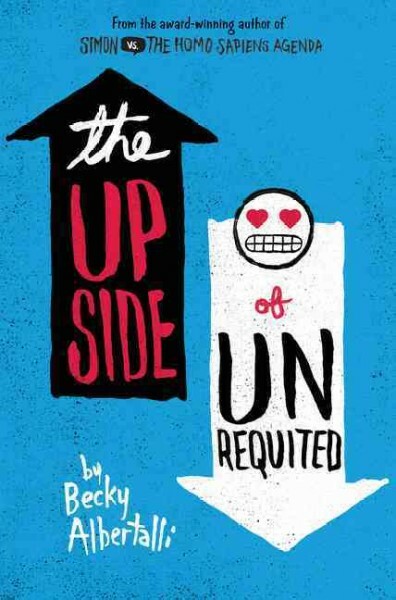 This week, we’re sharing a review of a movie, The Upside of Unrequited. At 17, Molly Peskin-Suso is filled with love, as unrequited as it may be, its still love. She’s had 26 crushes but never tried anything because of her insecurities of being fat. Her twin sister on the other hand, Cassie is the complete opposite. She’s stunning, looks amazing in whatever she decides to throw on, and is talented in the field of love. One day, Cassie meets a girl named Mina. She’s immediately smitten and admittedly has trouble confessing to her crush. After she gets a bit more comfortable, Mina and Cassie start to date, making Molly feel lonelier, and more unwanted than ever. Fortunately, Cassie has an idea and wants to set up Mina’s best friend, “hipster Will” with Molly. Anxious to spend more time with Cassie and maybe even receive her first kiss, Molly wills herself to like the cute redhead that keeps popping up. When Molly starts her summer job, she meets Reid, a chubby Tolkien super fan with his interesting love for Cadbury mini eggs, and a dorky laugh. Suddenly she finds herself wishing to spend more and more time with this cute guy who seemingly occupies most of her mind. Could this be once more unrequited love? Could this be “Molly crush” number 28? Or could this maybe be true? I enjoyed this book because it explored many characters. The differences between each were vivid and easily spotted. The main theme of this book was also that different is okay. We see characters of different body weights and accepting that they are beautiful as well. We see characters who are a part of the LGBTQ+ community and are proud to be so. Most importantly we see characters confident in being themselves, teaching readers a good lesson. Love, Simon fans will enjoy this book very much because it’s written by the same author. Molly is Abby’s cousin and in this book we explore her background. This book doesn’t incorporate any aspects of fantasy but takes you on a journey through real life. That being said, I would still recommend it to any fans of The Selection, Red Queen, An Ember in the Ashes, or YA series with action, just because it’s an easy read and a great story! I would especially recommend it to John Green fans because the two have similar writing styles. Another reason I enjoyed this story is the way it is told. Molly’s perspective is fresh, new, and unheard of previously. Most books we read with female main characters talk about how beautiful they are. Take Red Queen, the book isn’t centered on beauty but we do understand how beautiful Mare is. In The Selection, America’s beauty is unrefined and unique, making Maxon fall for her from the start. Finally, in The Ember in the Ashes, Laia catches Elias’ eye even as a servant just because of her looks. On the other hand, Molly is a girl who is chubby, a characteristic our modern world doesn’t encourage. We see as she finds herself and who she really is as well as becomes comfortable in her own skin. Teen Book Talk features book, movie, and local event reviews written by local teen writers. This week, we’re sharing a review of a movie, Black Panther. The movie follows T’Challa, the recently throned King of Wakanda and Black Panther. Wakanda is a mythical, prosperous African nation that replies on its own self-sufficiency to defend its people. Wakanda is introduced as the world’s most advanced civilization that thrives off of the indestructible alien metal vibranium found only in Wakanda that gives people superhuman abilities. 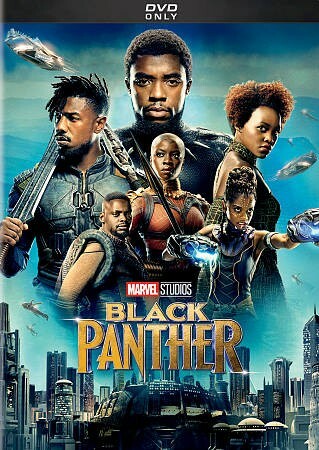 The movie begins with T’Challa seeking vengeance by taking down Ulysses Klaue, who infiltrated the isolated nation, resulting in many deaths of the Wakanda people, and stole vibranium. The plot thickens as T’Challa discovers the truth behind how Klaue managed to infiltrate Wakanda and meets the man at the heart of this truth. T’Challa is challenged by this man who has a different perspective on the future of Wakanda’s relations with other countries. T’Challa must reconsider his values and the future of Wakanda as he seeks to defeat the man. Although the movie was felt rushed towards the end, I feel that the producers still managed to wrap up the movie well. Overall, I loved the plotline of this movie because it was different from the movies that I’ve watched. This is most likely because Black Panther is my first Marvel movie, so I was surprised by the incredible cinematography in the movie. I was encouraged to watch the movie by my English teacher because we were learning about the Civil Rights Movement and the various civil rights activists during that time period. In addition, almost everyone in my class were impressed by the movie, so I didn’t want to miss out on watching this film! As my English teacher pointed out, I also found it interesting how Black Panther alludes to the ideological struggle between black activists in the Civil Rights Movement. The perspectives of two main characters in the movie mirror the perspectives black activists held on the most effective method to liberate oppressed people of African descent around the world, more specifically in the USA. Overall, Black Panther presents an interesting portrayal of conflicting perspectives in the Civil Rights Movement. I would highly recommend watching this movie from this perspective if you haven’t thought about how the movie related to the Civil Rights Movement before. The incredible cinematography and fast-paced nature of the movie made this movie a memorable one. Teen Book Talk features book, movie, and local event reviews written by local teen writers. This week, we’re sharing a review of a movie, Lady Bird. With the Oscars coming up in about a month, a bunch of great films have been gaining recognition in the media recently. 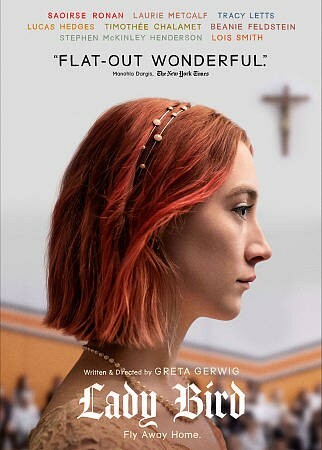 Among these critically-acclaimed films is Lady Bird , Greta Gerwig’s directorial debut detailing the senior year of a Catholic school student who goes by the name of “Lady Bird”. The film mainly focuses on the complicated yet tender mother-daughter relationship between Lady Bird (Saoirse Ronan) and Marion (Laurie Metcalf). Through luscious cinematography and a bittersweet Jon Brion-composed score, Lady Bird characterizes early-2000’s Sacramento with a unique sense of love and warmth. The conversations that Lady Bird has with both her classmates and her family are similar to the ones I have with my own, proving just how realistic the dialogue in this movie is. Additionally, Gerwig handles every character, even the small ones, with such care that every plotline in the film feels important. This movie made my heart swell twice its size. I’ve seen it twice in theaters and I cried both times. What’s interesting is that Lady Bird is not a particularly sad film, and yet it made me feel emotional in ways that I’ve never felt when watching a movie before. I identified with Lady Bird’s specific brand of adolescent confusion, as well as with her interactions with her mother. Hollywood doesn’t usually give love and attention to mother-daughter relationships in the way that Lady Bird does, so I think that it’s wonderful to see a female-directed film that is able to capture this complex female relationship is such a truthful fashion. All in all, Lady Bird is a beautifully shot film with a splendid screenplay and talented actors. If you’re still unsure about whether or not you’d like to go see this film, I’d like to note that I geeked out over this movie with my English teacher, so you know it has to be good! 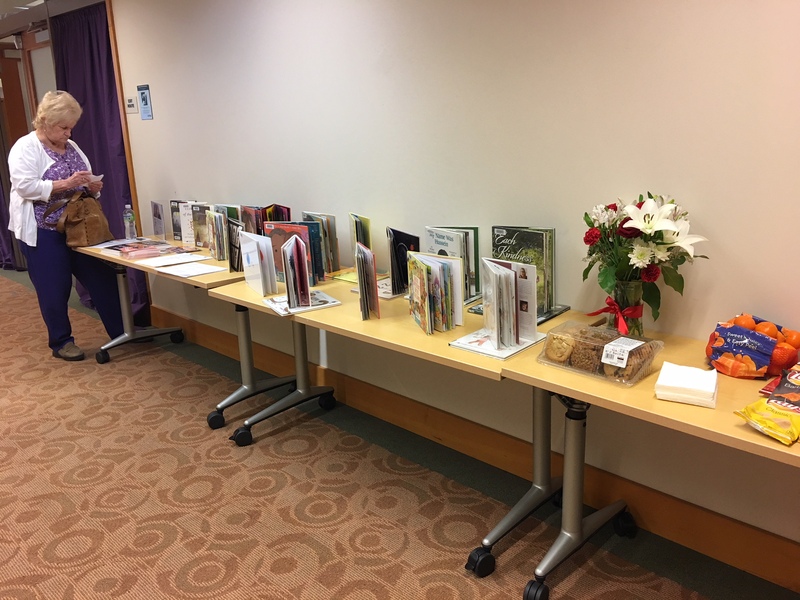 Last Thursday evening, the Dublin Library hosted a special program as part of United Against Hate Week (November 11-18, 2018). The library held a film screening of Waking in Oak Creek, and then held a community discussion. “A few days ago, I attended the “United Against Hate” program that took place here in the Dublin Library. 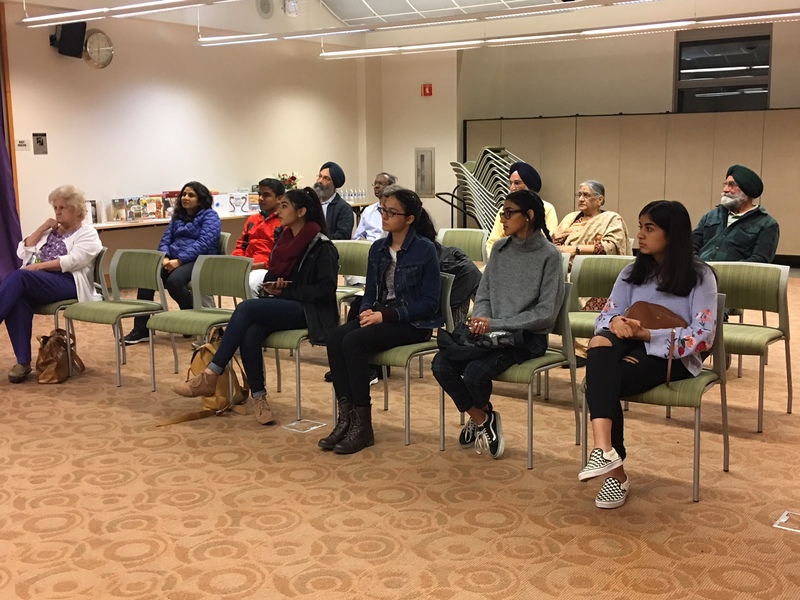 At the event, we watched a film called Waking in Oak Creek, a heartwarming documentary about a community’s effort to support love and peace after a tragic shooting at a Sikh temple in Oak Creek, Wisconsin. The film was very moving. It told the stories of the friendly Sikh worshipers who were horribly attacked, the brave police officers who came to help, and the supportive community that came together in the aftermath. Rather than focusing on the tragedy itself, the film was mainly centered on the people’s uplifting efforts, leaving us all with hope and positivity. Once the film was over, we all came together and discussed what steps we could take to support the ideas of love and peace throughout the city. Everyone contributed new and meaningful ideas to the discussion. We hoped by that spreading awareness and by making everyone feel like a part of the community, we could prevent future tragedies and create a safe, peaceful environment for everyone. Teen Book Talk features book, movie, and local event reviews written by local teen writers. This week, we’re sharing a review of One of Us is Lying by Karen M. McManus. This book will appeal to those who enjoy murder mysteries and crime fiction with teen protagonists. You may enjoy this book if you liked the books Pretty Little Liars and Bone Gap. It’s Monday afternoon, and five students walk into detention. Among them are: Bronwyn, the Yale-bound and academically motivated rule follower, Addy, a ready made homecoming princess, Nate, a criminal on probation for drug dealing, Cooper, a star baseball pitcher, and Simon, the collectively disliked creator of the high school’s popular gossip app. However, Simon dies before the end of detention. After further examination, an accidental death is ruled out, leaving the four students that were in the room with him as suspects for his murder. What’s even more intriguing is the fact that the day before he died, Simon had secrets about each of the four students in the room queued up to post for everyone to see. So, which one of them was willing to kill to protect their secret? Or were they the perfect scapegoats for someone else? One of Us Is Lying is a story about deception, finding hidden truths, and above all, how far one can go to preserve their secret. One of Us Is Lying is likely one of the most exciting books I’ve read in awhile. The book does not hesitate to jump straight into the action, with the story starting off with the murder that is the central focus for the rest of the story. Though this story is a murder mystery, Karen M. MacManus truly gives the characters their own voices and unique perspectives, providing the reader a real connection and attachment to each student. 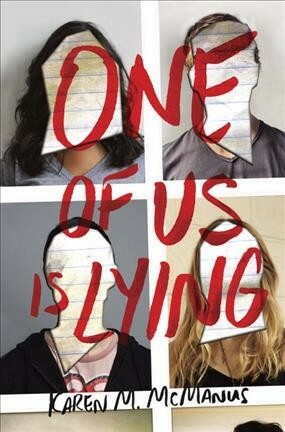 The character development in One of Us Is Lying is something of a marvel, as the case progresses, the characters become their own independent figures with different interests, romances, and lives. Even though each perspective change is labeled at the start of the chapters, I found the characters easily identifiable and distinctive. The pacing of this story is just right, fast enough to prevent boredom but not so fast that the events become confusing. perfect, but this book was near perfect. I highly recommend this book for anyone who enjoys murder and/or mysteries, and it is my hope that you will find it as exciting and intriguing as I did. 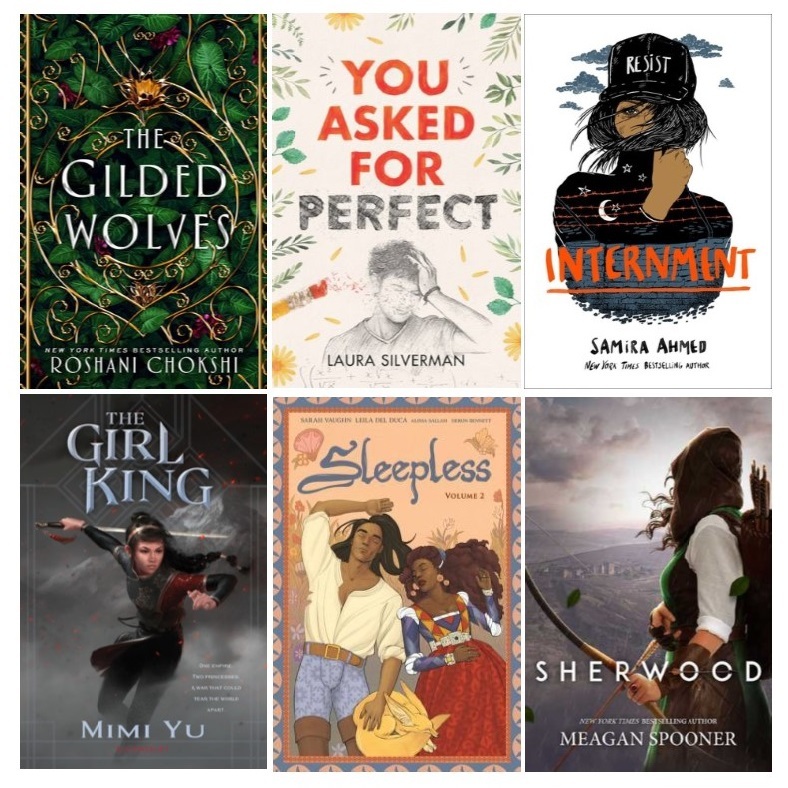 Upcoming teen releases in 2019 that I’m looking forward to reading! eBook Help, 11 am -12 pm Teen volunteers are available to assist with questions about the library’s eBook collections, downloading eBooks to a phone or tablet, etc. eBook Help is available most Tuesdays from 6-7 pm, and most Saturdays, from 11 am -12 pm. Cyber Ed Presents: Phishing Scams and Cybersecurity, 2-3:30 pm A free workshop for adults interested in learning about phishing, how to prevent being a victim of online scams, and tips for creating strong passwords. Escape the Brig! An Escape Room adventure for adults, 6-8 pm Registration is required for this free event. Join with a group of friends and race against the clock to see if you can solve the puzzles, and escape the brig! Family Board Games, 1-2:30 pm Join us for our monthly afternoon of board game play. The library has a selection of games available for play, including Uno, Checkers, Connect 4, Sorry!, Candyland, and more. Author Visit with Meg Fleming, 4-5 pm Local author Meg Fleming will be at the library to talk about her writing and her newest picture book, Sometimes Rain. She will also be signing books (copies will be available for purchase at the event). Program sponsored by Towne Center Books.